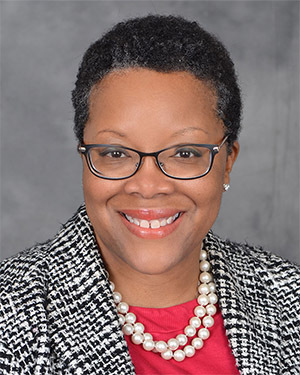 EAST GREENSBORO, N.C. (Aug. 8, 2018) – A leader in support of high-achieving students and STEM education has been tapped to lead the University Honors Program (UHP) at North Carolina Agricultural and Technical State University, school officials announced. Margaret I. Kanipes, Ph. D., was elevated to the permanent directorship after serving as interim director of the program over the past year. Prior to these roles, she served as director of the STEM Center of Excellence for Active Learning and interim chair of the Department of Chemistry, in which she is a tenured professor. As interim director, Kanipes has worked to increase visibility of the UHP as a premier honors program and to support high-achieving students in reaching their goals through efforts that enrich their curricular and co-curricular experiences. Under her leadership, the UHP helped to recruit the university’s first class of Cheatham-White scholars, who begin studies at N.C. A&T this fall. Created in 2017 by the state General Assembly, the Cheatham-White Scholars Program attracted hundreds of applicants for its 20 first-year slots, enrolling a full complement of freshmen who average in the top 15 percent of their graduating high school classes, boast an average GPA of 4.51 and SAT score of 1,364. Kanipes’ scholarship includes research in biochemical food-borne pathogen detection and science education. She has secured more than $7 million in grants from agencies such as the National Institutes of Health and the National Science Foundation and private funders such as Burroughs Wellcome and GlaxoSmithKline. She is the recipient of several awards and recognitions, including a National Role Model Faculty Mentor Award from Minority Access, an American Society of Biochemistry and Molecular Biology Education fellowship, a N.C. A&T Young Investigator of the Year Award and a University of North Carolina BRIDGES Women’s Leadership Academy fellowship. Kanipes earned a bachelor’s in chemistry from A&T and a doctorate in biological sciences from Carnegie Mellon University in Pennsylvania. She completed postdoctoral training in the Department of Biochemistry at Duke University. Kanipes returned to A&T in 2004 after serving as a faculty member in the Department of Natural Sciences at Fayetteville State University.